The benefits of coconut oil are quite diverse, both for cooking and body care needs. Medically, the benefits of coconut oil are still being studied. Although claims about the benefits of coconut oil have not yet been proven 100 percent, its use is increasingly popular in the community. Coconut oil according to some studies is estimated to be useful for health and beauty. Here are some possible benefits that can be obtained from coconut oil. Good coconut oil is pure coconut oil (VCO), not processed oil. VCO is extracted from fresh coconut without using additional chemicals and without high temperatures. This is so that the natural ingredients, such as phenolic compounds, are not damaged. Therefore, virgin coconut oil has the potential as an antioxidant. In addition, compounds in coconut oil such as lauric acid, caprylate, and caprate can support the growth of probiotics in the digestive tract and function against bad bacteria. Here are some possible benefits of coconut oil for the health of our bodies. You can use VCO as oil when cooking or mixed it with the content in the VCO which is believed to help stimulate metabolism. One of the effects that can be obtained in coconut oil is making it full longer so that the urge to consume excess food or eat snacks will decrease. 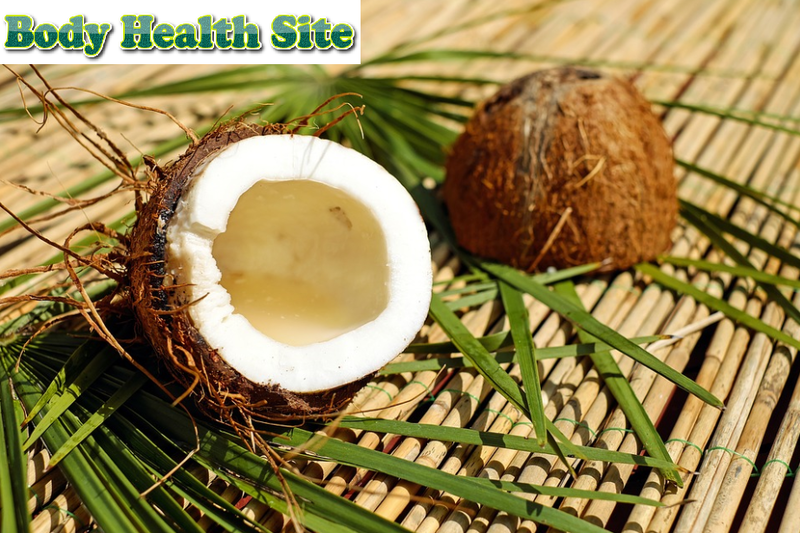 In addition, coconut oil contains medium chain fatty acids that easily enter liver cells. These advantages make coconut oil a fat that quickly burns the body into energy. Medium chain fatty acids are not easily converted into fat reserves, so they encourage weight loss. Although claimed to be good for those who want to reduce weight, so far the data on the effectiveness of coconut oil for the diet is still limited, so further research is still needed. If you want to lose weight, you can't just rely on VCO. You still need to exercise and live a healthy and balanced diet. VCO can be said to be a small part of a good diet. Its consumption is a maximum of one tablespoon a day. The benefits of coconut oil for heart health are thought to be due to its polyphenol content. This is because polyphenols prevent atherosclerosis, which is the hardening of the blood vessel walls due to the accumulation of fat plaques on the walls of blood vessels. This means the risk of heart disease also decreases. If your health condition is normal, maybe coconut oil can be included in the diet. If you have heart disease, it is recommended to consult a doctor first regarding coconut oil consumption. One of the benefits of coconut oil that is claimed to be good for health is reducing total cholesterol, bad fat (LDL), and triglycerides, and increasing good fat (HDL). This effect is predicted to maintain the health of the heart and blood vessels. However, several studies have shown that consumption of coconut oil only increases good fat levels, but does not have a significant effect on reducing total cholesterol and bad fats in the blood. Therefore, the benefits of this one coconut oil still need further investigation. The fatty acid chain in coconut oil is thought to increase glucose tolerance in your body. In the case of type 2 diabetes, coconut oil is also believed to increase insulin sensitivity in the body. However, more extensive research is needed to prove this. Acne treatment does not have to always use chemical drugs, but it can also use VCO. The lauric acid content in coconut oil is thought to be effective in reducing inflammation and fighting bacteria. Therefore, lauric acid in coconut oil can be an alternative antibiotic for the skin of someone with acne. Of course, don't forget to always keep skin clean and pay attention to food intake. In addition to treating acne, lauric acid in coconut oil also functions as a skin moisturizer. Not only for healthy skin, but coconut oil can also be used in eczema and psoriasis skin diseases. The antibacterial effect is thought to be very useful in fighting the spread of staphylococcal bacteria in this disease. Coconut oil can be made at home or bought on the market. You can use coconut oil to keep the skin moist. However, if you want to use coconut oil to maintain health, it is recommended to limit the amount because the efficacy and safety still need to be studied. Moreover, if you have certain medical conditions. Please consult your doctor before using coconut oil if you have certain health problems. 0 Response to "Benefits of Coconut Oil for Health and Beauty"